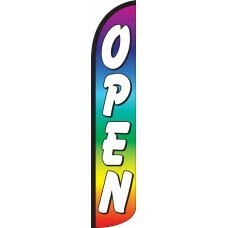 Let prospective customers know that you are open for business with our eye-catching wind-free feather flags. 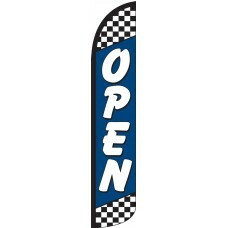 We offer OPEN feather flags in many different color combinations to match any company's colors or to coordinate with other matching feather flags that we offer. 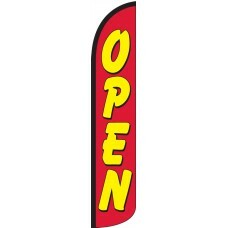 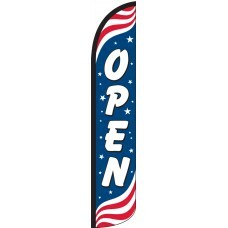 The Windless Open Flag design will stay visible even when there is no wind, so your customers will know you are Open for business. 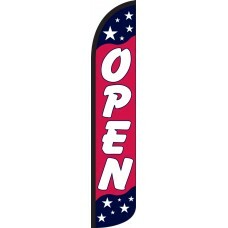 These flags can be used by companies in any industry who are looking to attract customers. 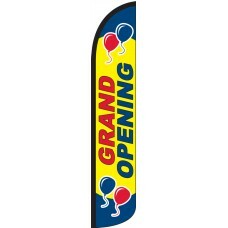 Try lining up a line of Open feather flags with different color combinations to really draw attention to your business.